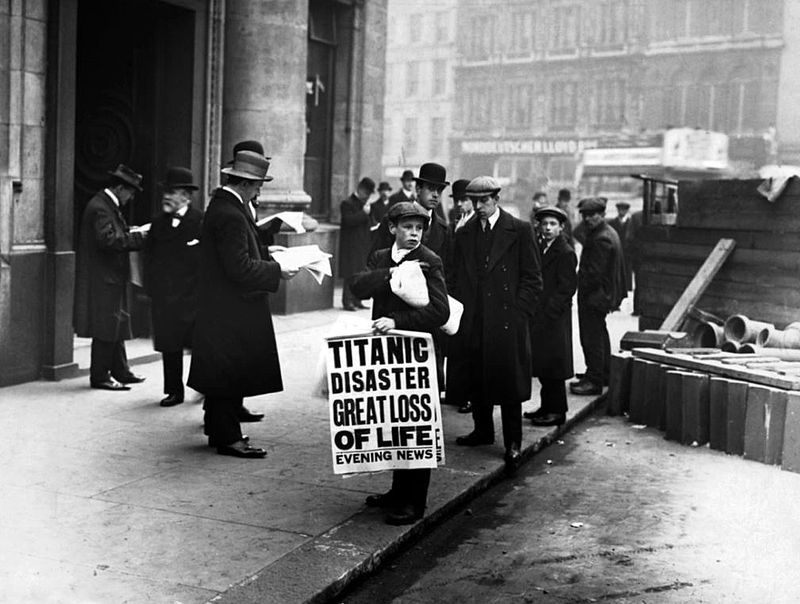 I have started posting a daily #OnThisDayInHistory Tweet on my Twitter account and today, 15th April, was the day that the Titanic sank into the cold icy waters of the North Atlantic in 1912. It seems that my UK History tweets have been pretty popular, so I thought I’d expand on some of them in my blog. Incidentally, I am grateful to beautifulbritain.co.uk, from whom I have been picking up some of these daily UK history gems. 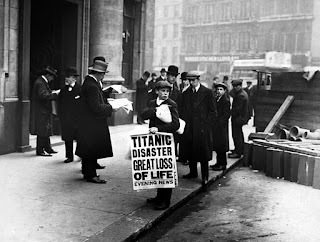 RMS Titanic, which people believed to be unsinkable, struck an iceberg in the North Atlantic, about 400 hundred miles North of Newfoundland, at 11.40pm. Two and half hours later, the ship had sunk and the lives of more than 1,500 passengers and crew were lost. 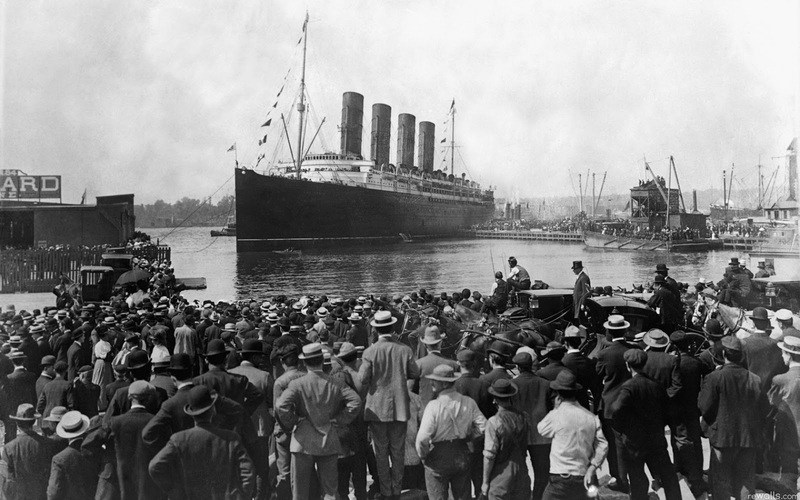 The sinking of the Titanic has been the subject of movies, documentaries, and conspiracy theories, so you probably know quite a lot about the story of the Titanic already, but read on, and you might just find some interesting facts about the Titanic that you didn’t know. The scene in the 1997 movie “Titanic” , starring Leonardo DiCaprio and Kate Winslet, where the musician’s kept on playing to keep ten passengers calm wasn’t concocted for dramatic effect, it really did happen. In fact, they kept on playing for the two hours that it took the ship to sink and none of the musicians survived. The leader of the band was Wallace Hartley and his final words to his fellow band members were: "Gentlemen, I bid you farewell!" The iceberg that sank the Titanic was spotted by lookout Frederick Fleet who shouted a warning. The First Officer, William McMaster Murdoch, gave the order for the ship to turn to try to avoid the iceberg, but the ship was simply too big to be able to turn fast enough. It is now thought that if the ship had ploughed right on into the iceberg, it would have survived the collision. 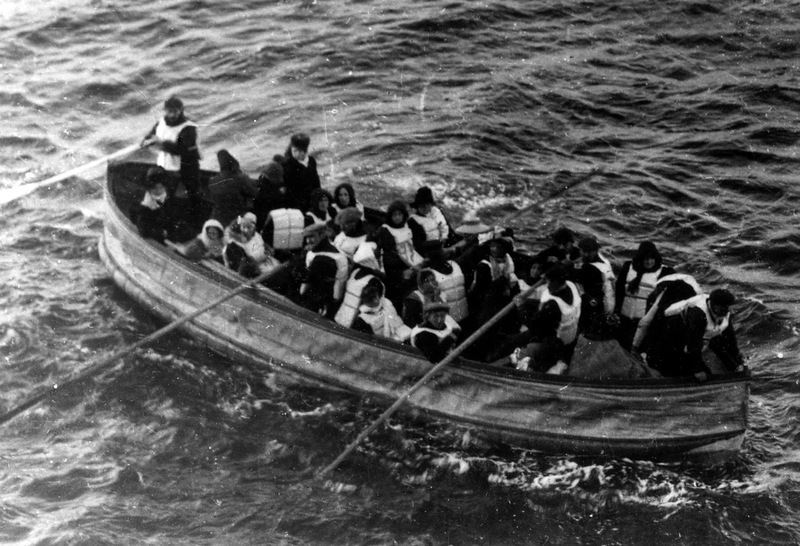 The Titanic had set sail with 2,224 passengers and crew on board, but the ship had only sixteen lifeboats and four smaller boats that could hold, in total, only 1,178 people. Even so, that was perfectly legal at the time, because the number of lifeboats that a ship had to carry was based on the tonnage of the ship, not on the number of people on board. Legend has it that, when the American businessman Benjamin Guggenheim realised that the Titanic was sinking, he and his valet changed into their evening suits, and the businessman was heard to say “We've dressed up in our best and are prepared to go down like gentlemen." The two were reportedly last seen lounging on deckchairs enjoying cigars and brandy. Here’s a bit of UK history that I never knew; the Titanic carried mail for His Majesty’s postal authorities which is why it was called RMS Titanic, the RMS standing for "Royal Mail Steamer". RMS, which can also stand for "Royal Merchant Ship", gave the ship Royal protection and any attack on the Titanic would have been considered an act of war. 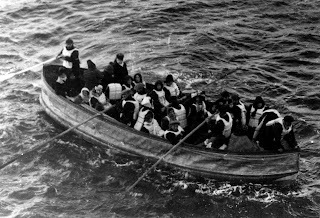 Although there were still nearly five hundred vacant seats left in the lifeboats, by far the majority of deaths were caused by the effects of being immersed in the bitterly cold water of the North Atlantic, which most people would have been able to survive for only fifteen minutes. The ship’s baker, Charles Joughin, however, survived by treading water for two hours, and he claimed that it was the copious amounts of whiskey that he had drunk that saved him from the cold. Another ship, the Californian, was only 19 miles away when the Titanic sank. The ship didn’t pick up the Titanic’s calls for help on the radio because the Californian’s radio operator had switched off his radio and gone to bed for the night. Members of the crew who were on watch on the Californian did see distress rockets being fired into the sky, but the captain of the ship, Stanley Lord, decided that they were from a party that was being held on board the Titian. The reason that the Titanic was said to be unsinkable was that the original design, drawn up by the ship’s architect Thomas Andrews, included sixteen watertight compartments. The owners of the ship, The White Star Line, had the designs modified, though, so that the compartments did not reach as high as they were originally intended to, because they wanted to create as much space possible for the first class passengers. Had the original design been stuck too, the ship may have survived its encounter with the iceberg. 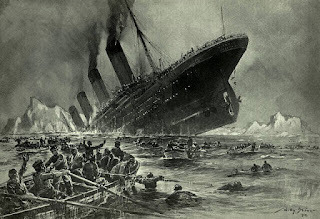 The captain of the Titanic, Captain E. J. Smith, was so convinced that the ship was unsinkable that he ignored seven different iceberg warnings from his crew and from other ships and he carried on at full speed regardless. 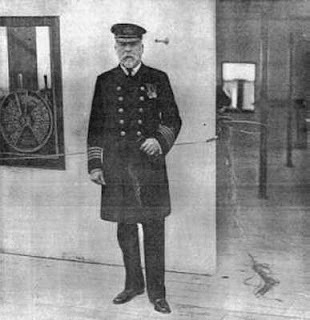 It is also thought that Captain Smith might have been under pressure to keep up the speed from White Star Line Managing Director, Managing Director, who wanted to see the Titanic make it across the Atlantic in six days. Either way, if the ship had been going slower, it is quite likely that the Titanic could have avoided the collision with the iceberg. Despite the fact that the Titanic was a luxury passenger liner, at east it was for the first class passengers, there is evidence that there were corners cut in the construction of the ship. Some of the rivets used in the construction of the ship that have been recovered from the wreck have been found to have been made from sub-standard iron. If good quality rivets had been used, the ship may not have broken apart in the way that it did. It’s not the first time in UK History, and no doubt won’t be the last, that cost cutting might be partly to blame for a disaster.